We will be hosting the Send Button LIVE BROADCAST in alternative languages on Tuesday February 12th, 2019 at 7:00 AM PDT. 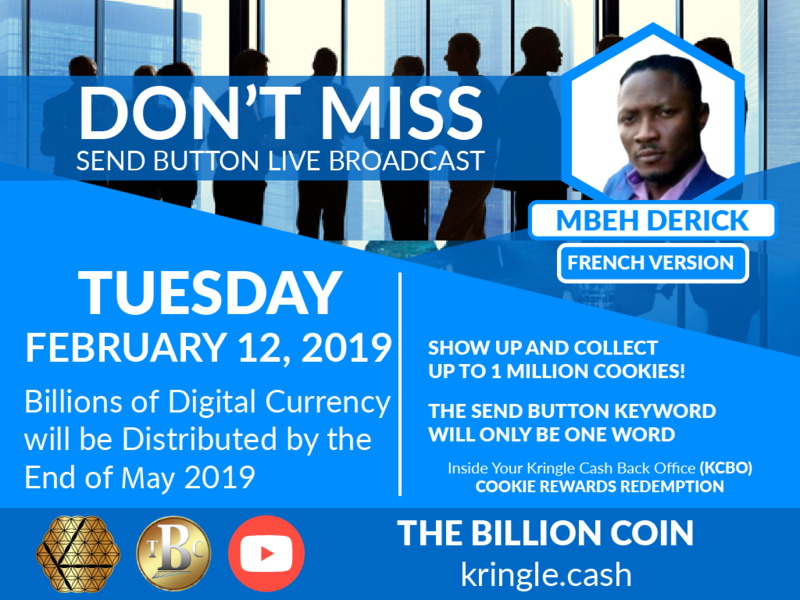 If you do not have a Send button ON you are not allowed into the meeting. 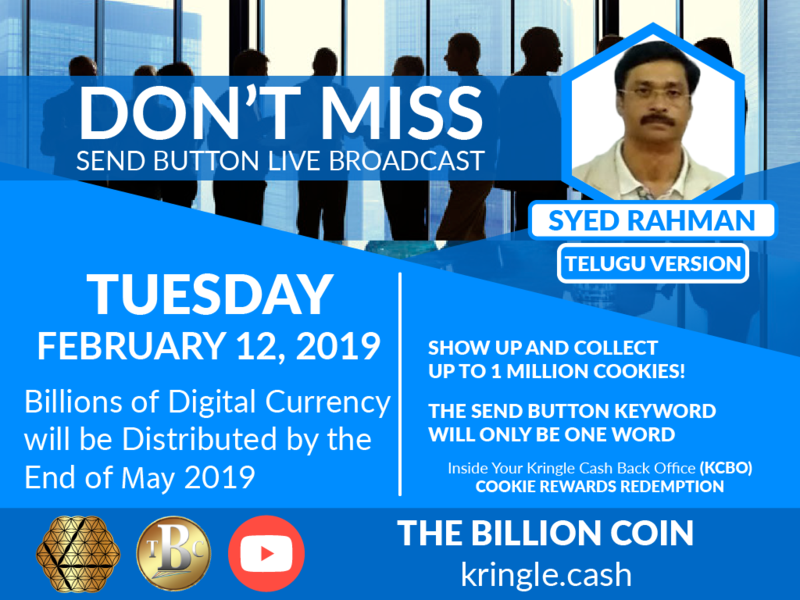 For those of you who do have a Send button, DO NOT SHARE THIS LINK with anyone else. The link will be available at 6:45 AM PDT on Tuesday February 12th, inside your Kringle Cash back office. The meeting starts promptly at 7:00 AM PDT. 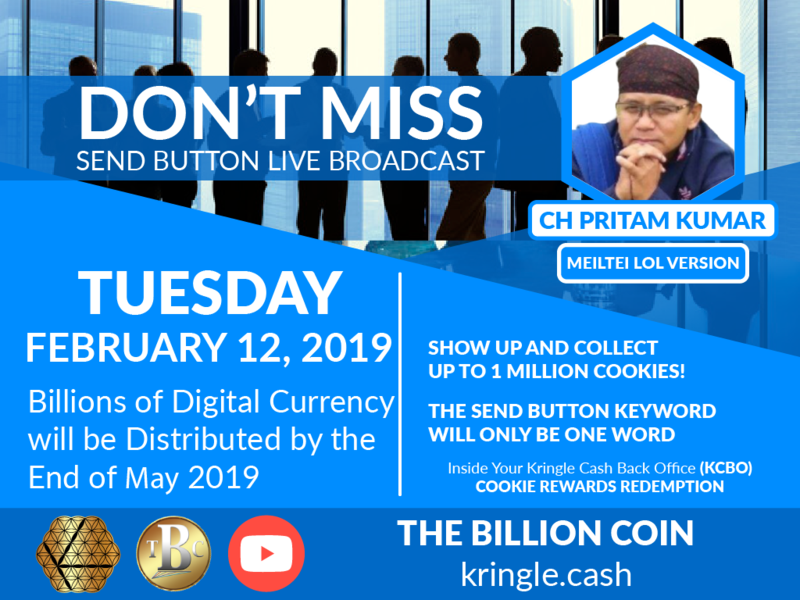 Show up and collect up to 1 MILLION COOKIES! 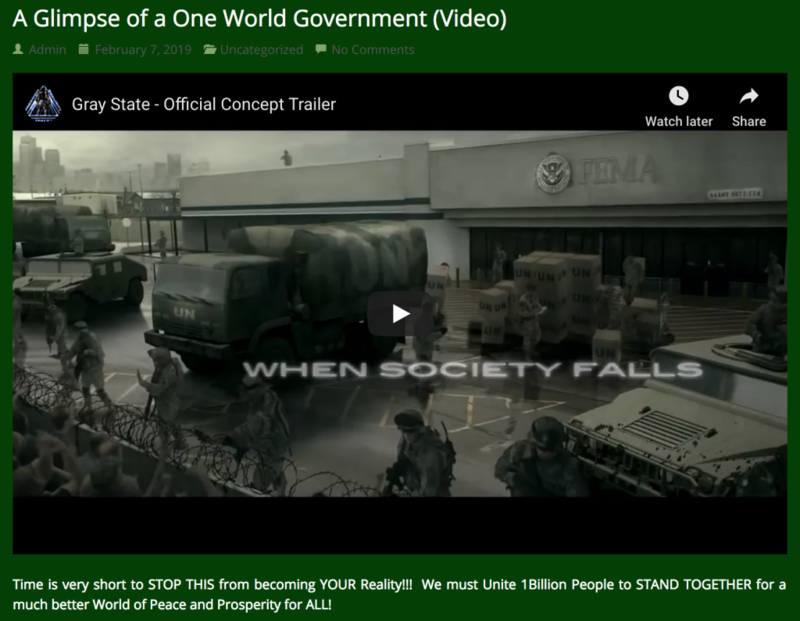 Do YOU really agree to be pulled into a ONE WORLD GOVERNMENT? Isn’t a plan to depopulate the Earth by up to 90% PURE EVIL? That number includes YOU, afterall!!! 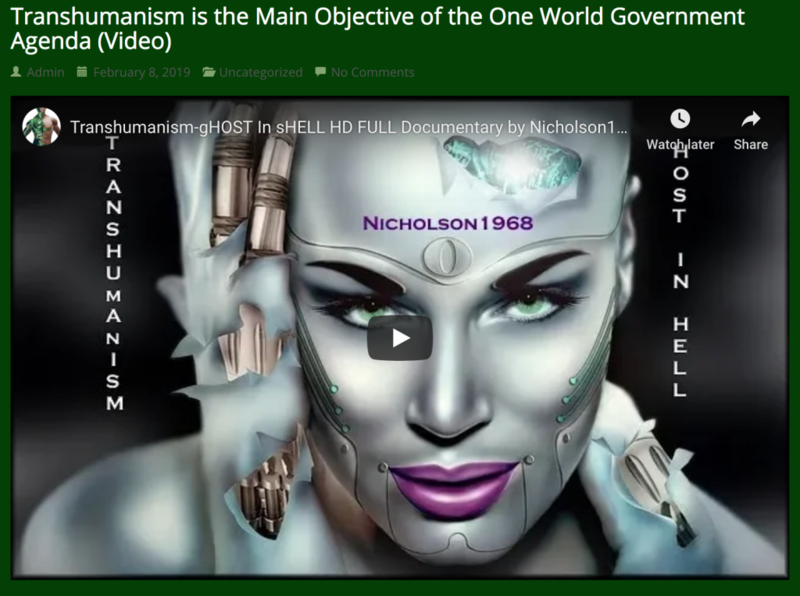 If YOU haven’t studied the Transhumanism agenda of the Elite, YOU better do so NOW! The worst possible prison YOU could experience would be YOUR own body while others completely control it, and YOU can’t stop them! The year is 2019, and here we stand at the cusp of great change globally. The financial system known by the previous 5 generations is in its final stages of total collapse. Upon its final breath humanity could be facing its darkest hour. Some have worked vigorously towards a global financial reset to provide a soft landing within this transition from a completely FIAT based system back to a GOLD backed system. 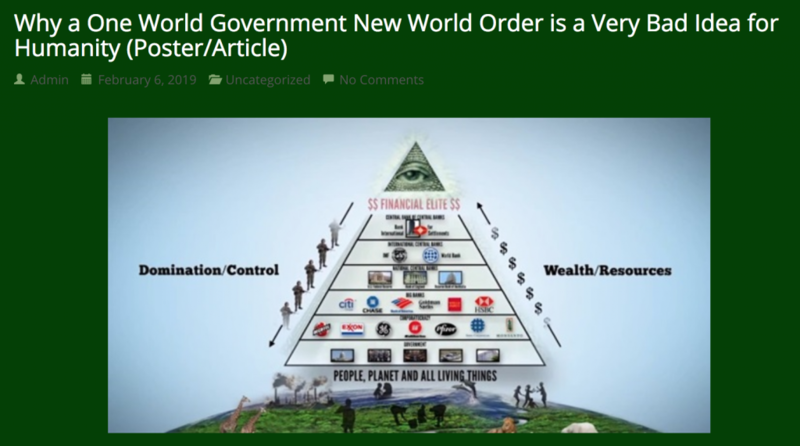 Within this brief window of change comes the opportunity for the Ruling Class Elite to firmly establish their New World Order of a One World Government. This is a warning to all of humanity. 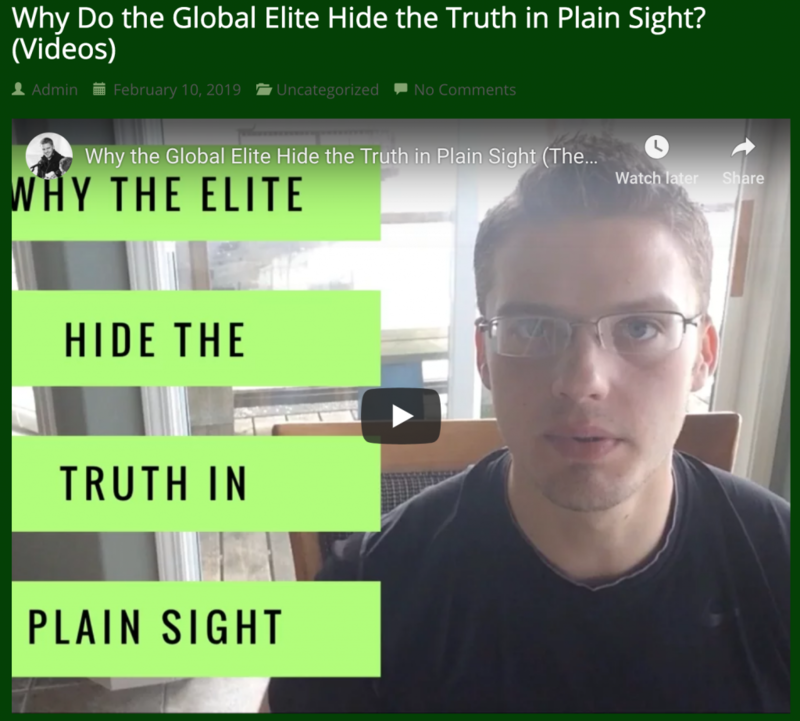 The Elite must fail now to set up a One World Government! Because if they succeed, it will be the end of FREEDOM! Most of humanity today has a reasonable amount of freedom, yet the FIAT based system has enslaved humanity to debt. Debts in large part that were not incurred by the individuals; all of the governments have created vast debts over the last 100 years and their citizens are expected to carry those debts. So, while most of us are free to choose our professions, free to raise a family as we see fit, and free to travel to a certain degree, the burden of these debts weigh down on us and have a very negative impact on our lives. These debts could be the excuse used by the Elite to start a global war when the plug is pulled on the entire banking system. What will the people do when ALL of the banks are closed? 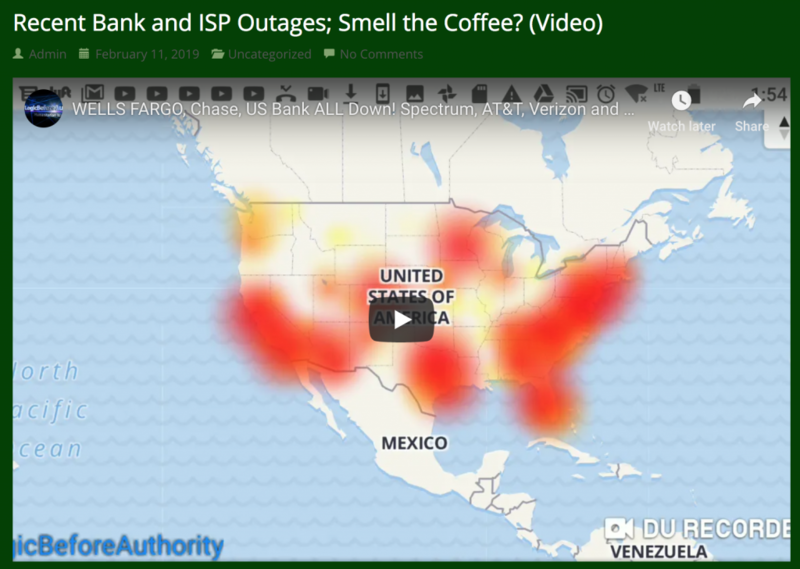 How will companies be able to operate without access to the bank? What happens when paper money suddenly becomes worthless? How long can humanity sustain itself in such a dark time? 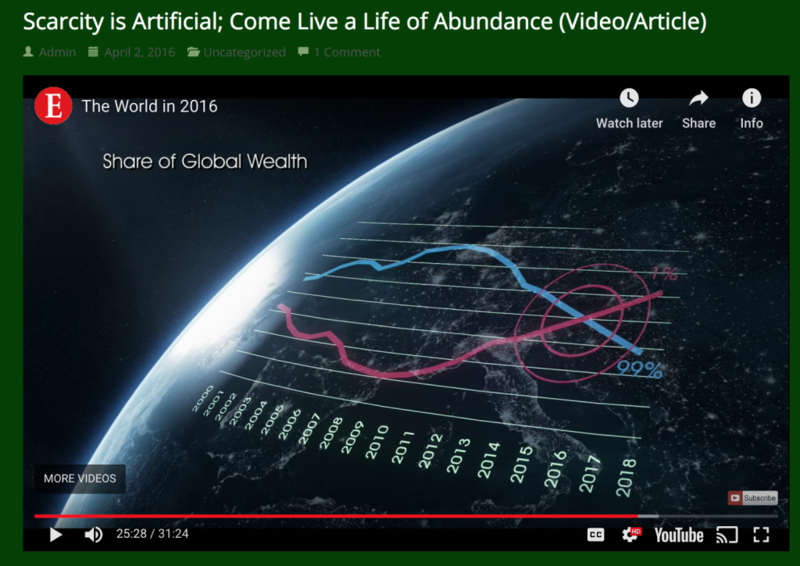 The Elite have planned this scenario for a very long time, and they have planned to introduce a One World Government as the solution. How would a One World Government impact the freedoms you enjoy today? The short answer to that question is that ultimately, it would completely destroy YOUR FREEDOM as YOU know it. It would lead to every aspect of YOUR life being controlled by government. A government that puts its own interests above the rights of the individual. TOTAL SLAVERY! Why? Why would a One World Government lead to TOTAL SLAVERY? The answer is because of NATURE! The NATURE of Government is FORCE. Governments are run by men (people), so what is the NATURE of MAN? Many things have changed over thousands of years, but the NATURE of MAN has remained the same. When it comes to MAN, Power Corrupts, and Absolute Power Corrupts Absolutely! That sums up the NATURE of MAN. The few that rule the world today, do so in the shadows and therefore don’t have complete and absolute power and control. They have great influence, but that is it. Power is broken and divided between many nations and peoples. There is ongoing conflict between these nations as they each struggle for greater power in the world. This is a necessary friction that allows FREEDOM to survive. The more friction there is the more FREEDOM exists. Power struggles are very important. A One World Government would be the end of the Power Struggle. We The People out number the few Ruling Class Elite by at least a Million to One. We do have the power to overcome the Elite and their evil plans. Almost 250 years ago, a new kind of FREEDOM was born, when the American Colonists declared their independence from the Kingdom of Great Britain. These colonists won the revolutionary war, and set up a republic under a constitution. The constitution separated the powers of government into three branches which allowed friction to occur between these separate branches as each seeks greater power over the others. Before this kind of government was formed, most governments had total power over its people and ruled with an iron fist. Consider the known history of the last 5,000 years. Why has there been more technological advancement and progress for mankind in the last 200 years over the previous 5,000 years? Simple. FREEDOM! FREEDOM has allowed mankind to advance in ways that were inconceivable before. When government is busy fighting with itself, it allows the people to enjoy FREEDOM. Constitutional type governments have spread all over the world ever since the American Revolutionary War, and the result has been greater FREEDOM. This is a much better world to live in today compared to 200 years ago and before. A One World Government would quickly return humanity to live under an iron fist of tyranny. FREEDOM would disappear from Earth. We all must resist the deception that is coming that a One World Government will solve all of the problems we face today. 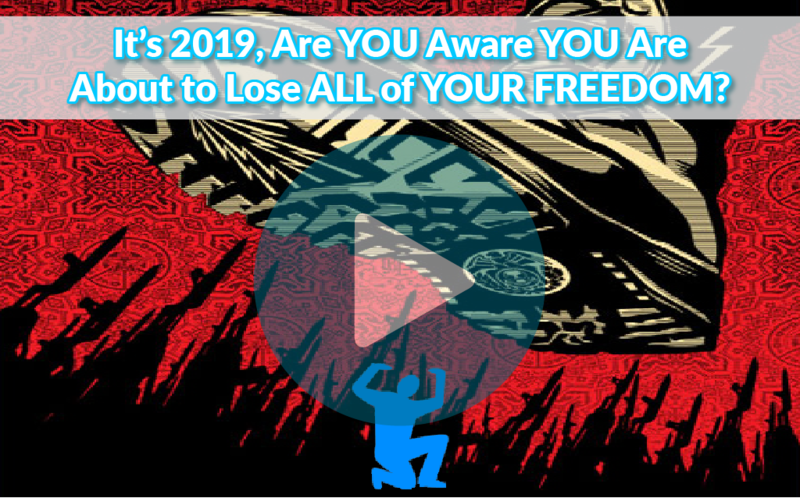 Yes, the current financial system is collapsing, and there are no guarantees that a global reset will result in a smooth landing for us in this transition. 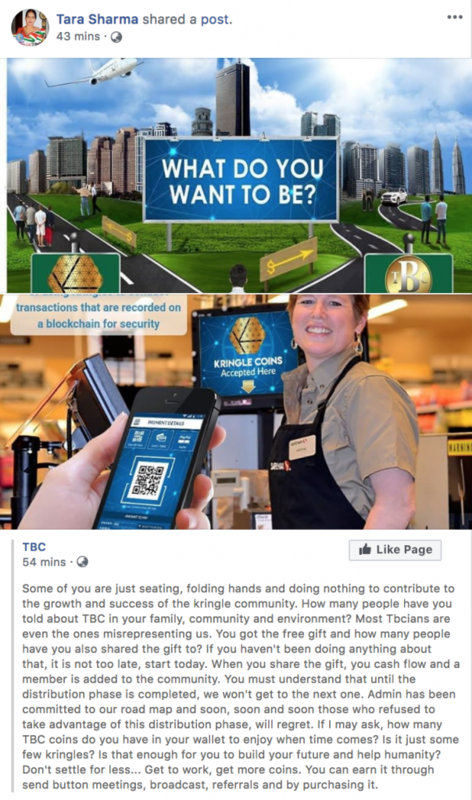 TBC offers an alternative. The faster we build to 1Billion members the better, because the world is changing fast. An educated Billion people working together to spread the message about the truth of Abundance on Earth with a currency of its own is a real solution. A solution that should lead to even greater FREEDOM! 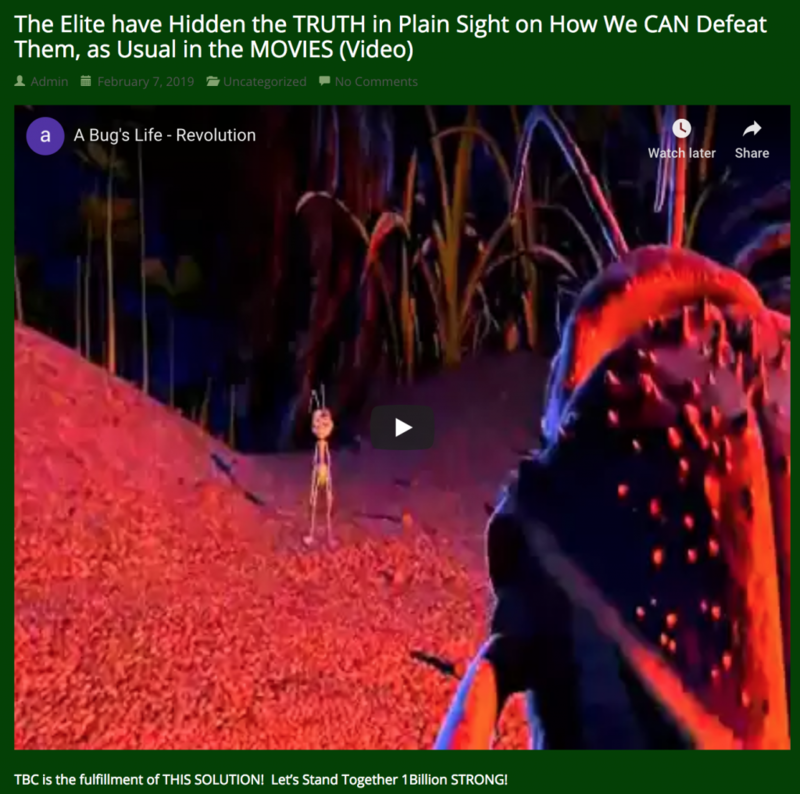 Bugs Life movie tells us exactly how we can free ourselves from the control of these evil elite ruling the world today. Funny, huh? They made a cartoon out of the solution that will work! But who will be laughing at who in the end? WATCH BUGS LIFE MOVIE, OK? 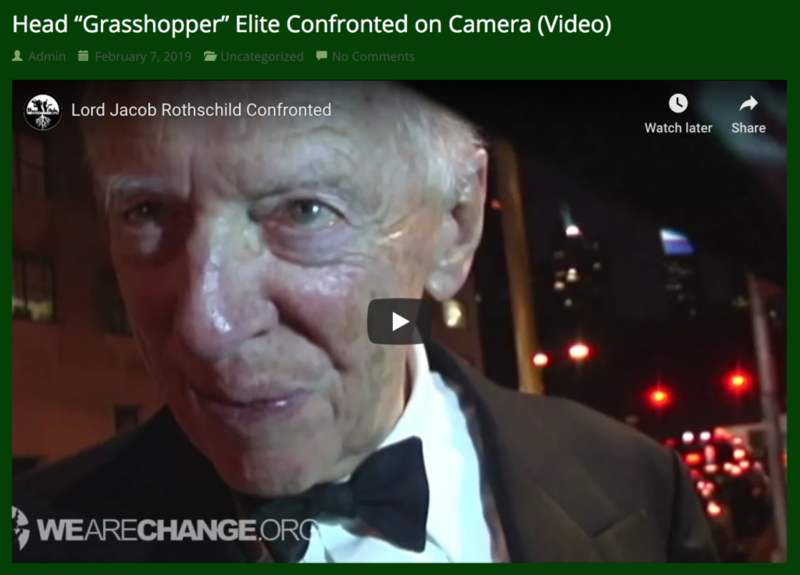 The “Head Grasshopper” is absolutely afraid of us and doesn’t want the masses to wake up and see how old and weak they are, in the elite. Violence will not work on them; but gathering the masses to just go another way, our own way, will work. We can just step out of their control and their military force will follow us instead. Truly evil people are so few in number! Remember, they too are bound by the agreements they put into place. So, the traps and pits they have set for us, they will fall into instead of us. 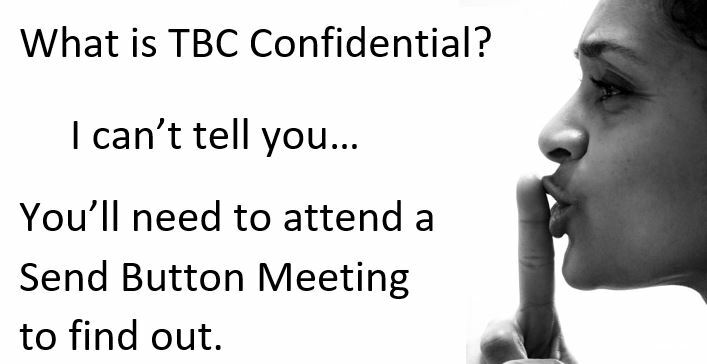 TBC is a complete solution! Embrace all aspects of it! It is short-sighted to only see TBC as a short-term solution to YOUR cash flow needs. 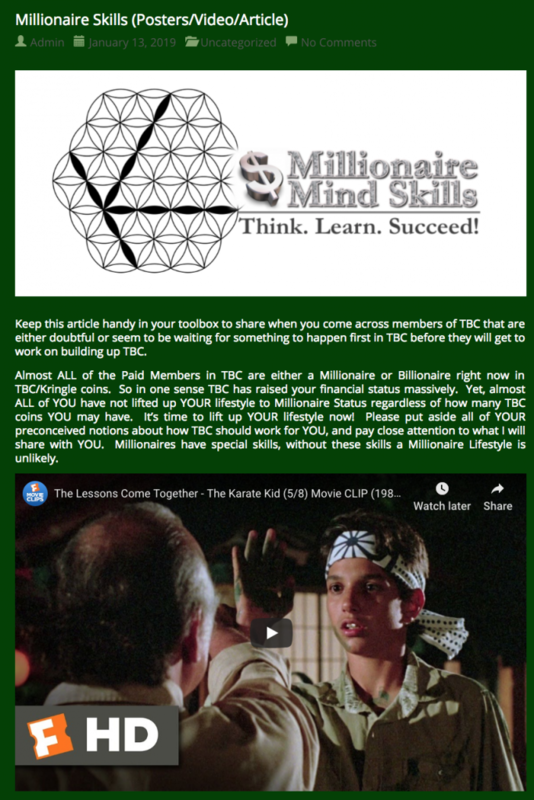 TBC gives YOU many opportunities to grow and personally develop. YOU do need to develop the skills of the wealthy, and as we build our very own financial system and economy from the ground up YOU will gain those skills!